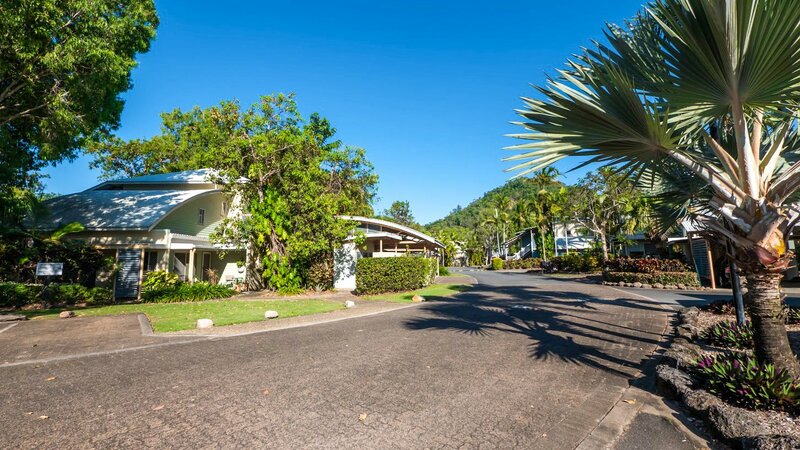 The Marlin Cove Resort offers a wide range of first-class Cairns holiday accommodation designed to truly provide holiday makers with absolute convenience and comfort. 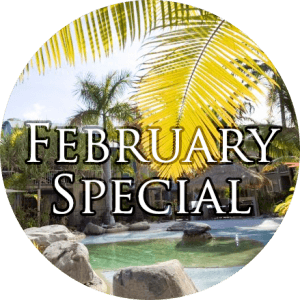 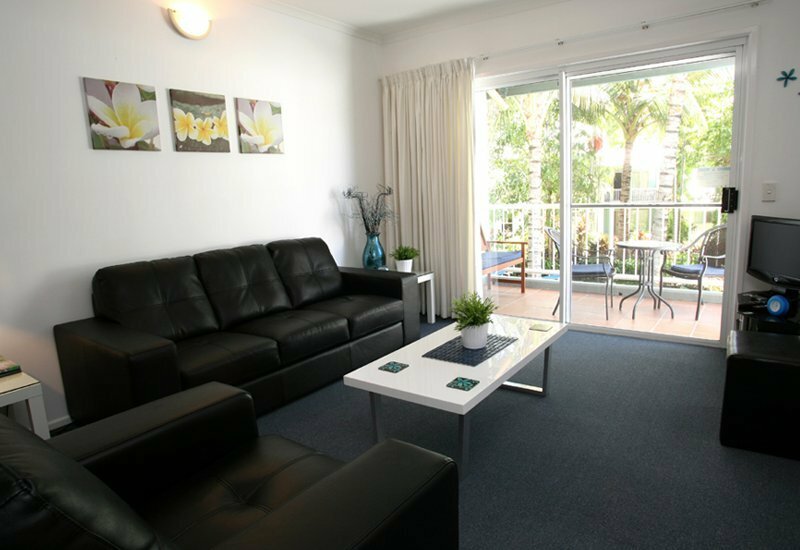 You are spoiled with choices at Marlin Cove Resort with 1, 2, and 3 bedroom apartments that will suit your holiday needs. 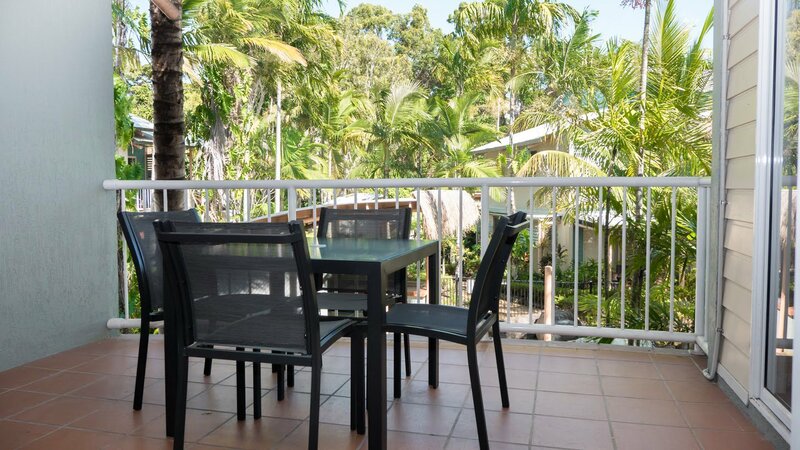 Each well designed apartment has a private balcony where a breathtaking view of the magnificent tropical setting awaits you. 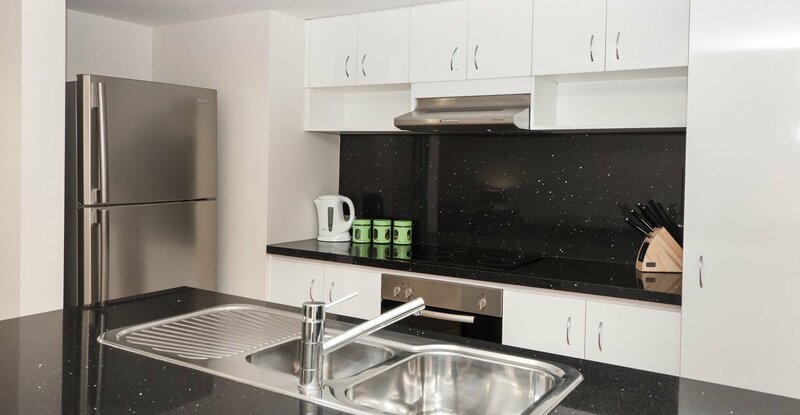 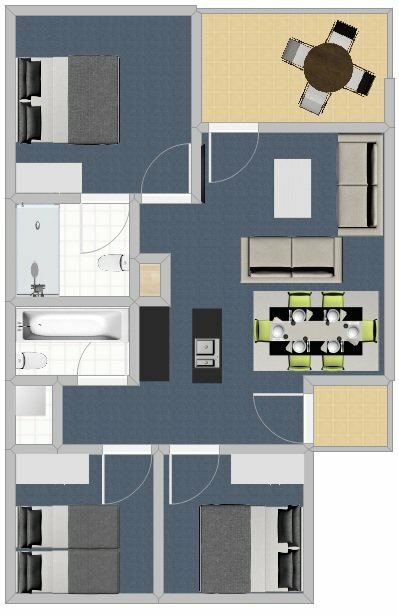 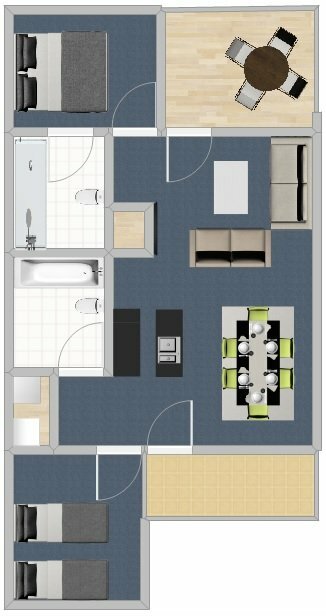 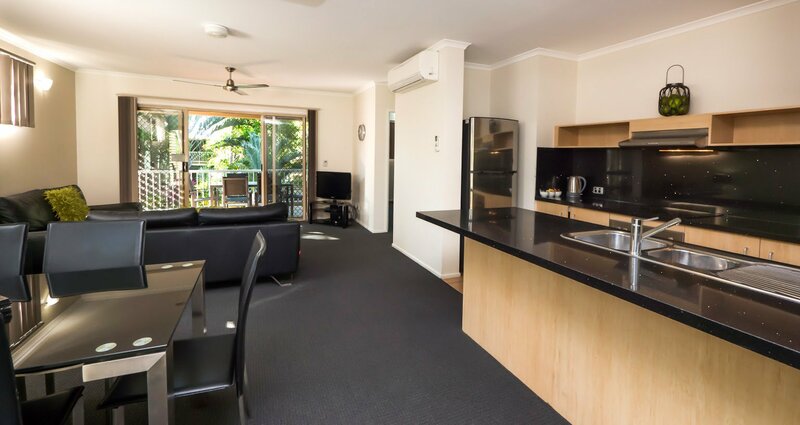 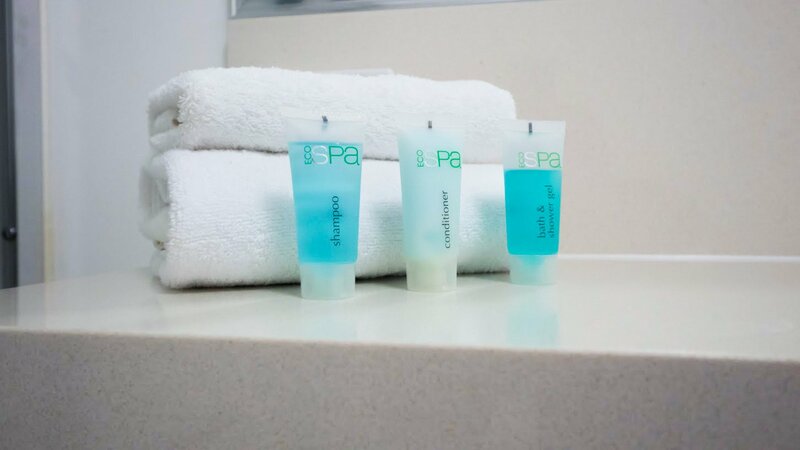 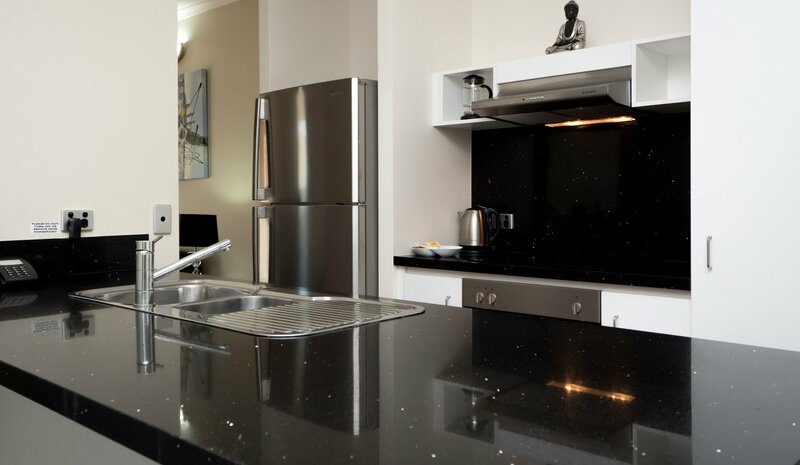 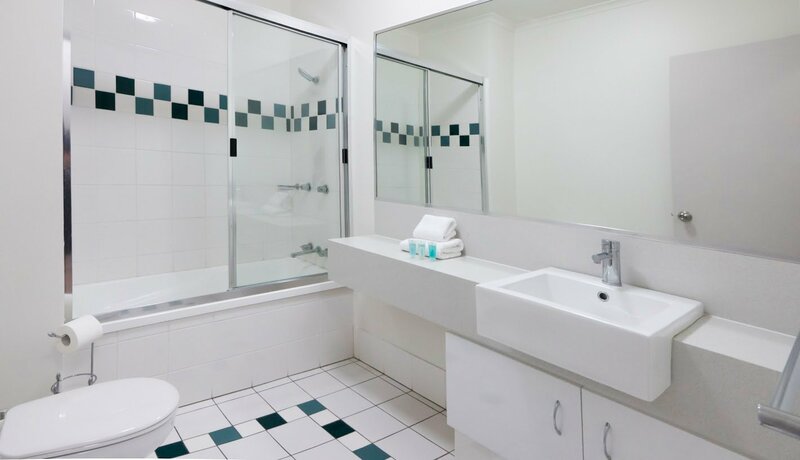 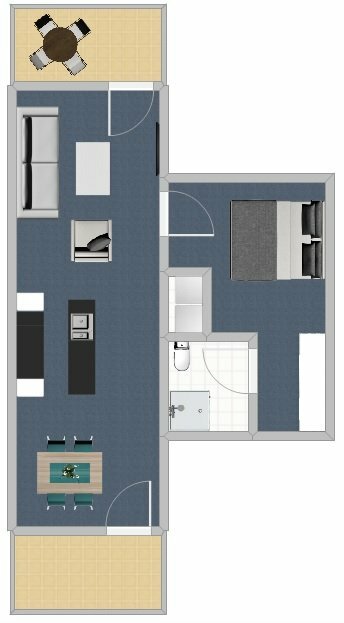 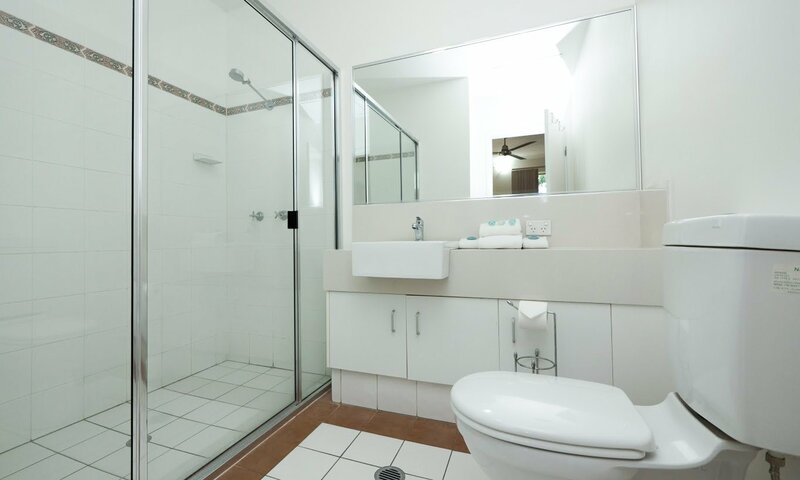 Spacious and cosy, our Trinity Beach Cairns apartments are fully equipped with modern kitchen and laundry facilities, air conditioning, separate dining and living areas, lounge set, as well as beddings that include clean and crisp linens. 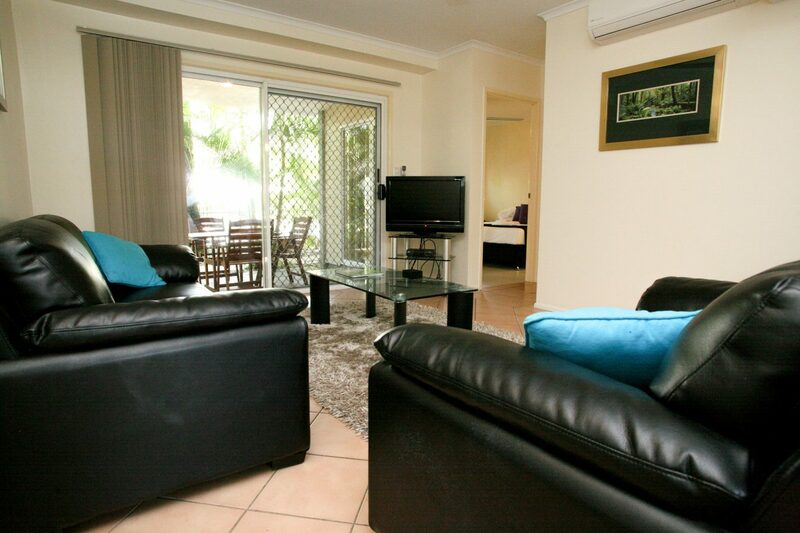 The friendly and gracious Marlin Cove Resort staff has thought of items you might need on your Cairns holiday. 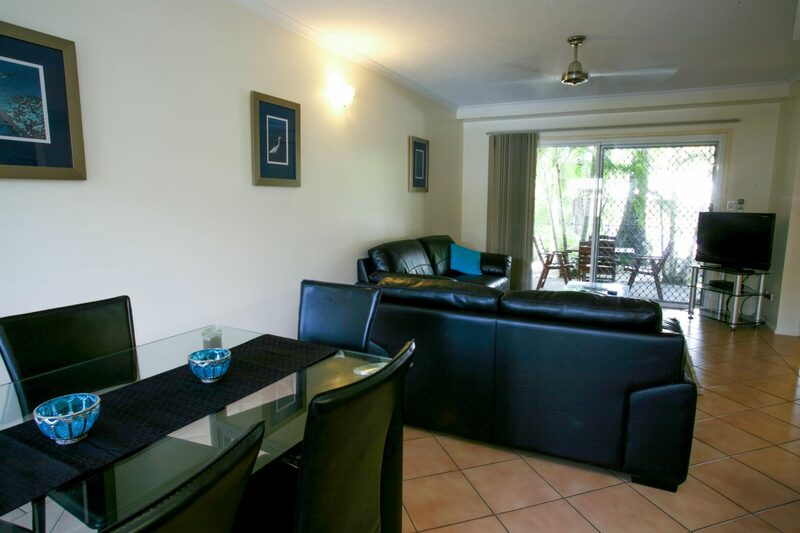 All our Trinity Beach accommodation provide ceiling fans, wireless Internet access, phone, hairdryers, satellite cable television, and tea and coffee making facilities. 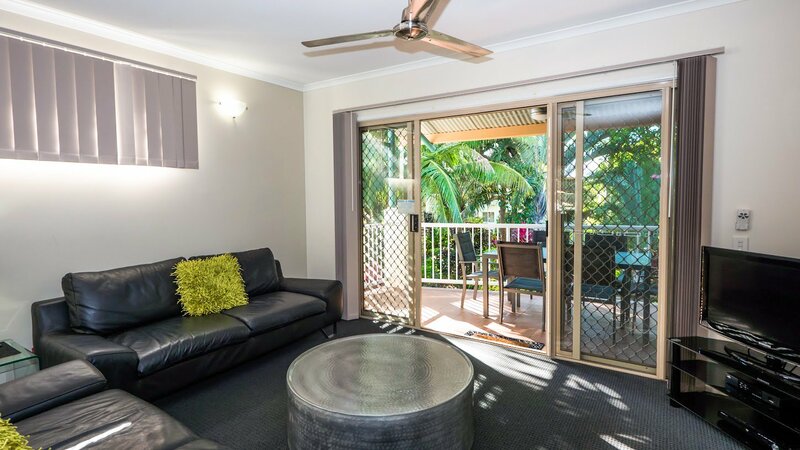 Please feel free to call on us if there is anything else you might desire to make your beach holiday both rewarding and pleasurable. 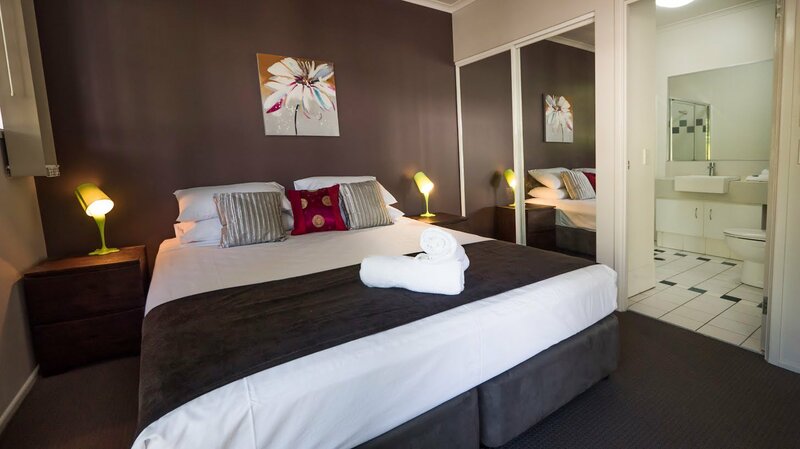 Bedding configuration is 1 king-size double bed, or 2 king-sized single beds (on request only). 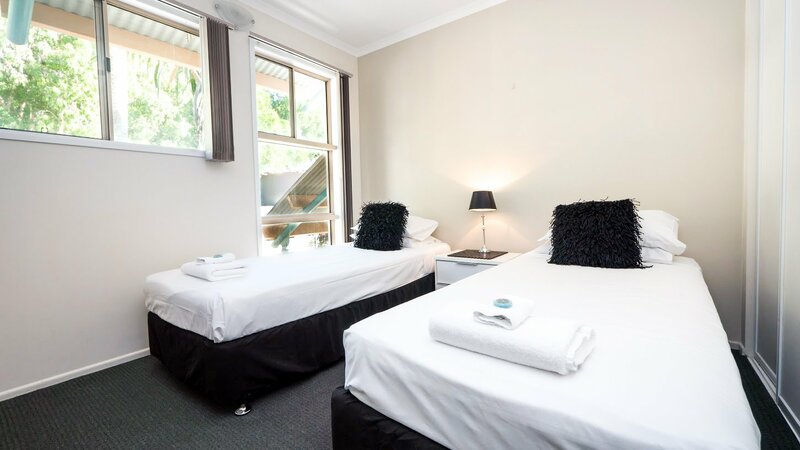 The apartment hosts bedding for two people, with a maximum occupancy of three. 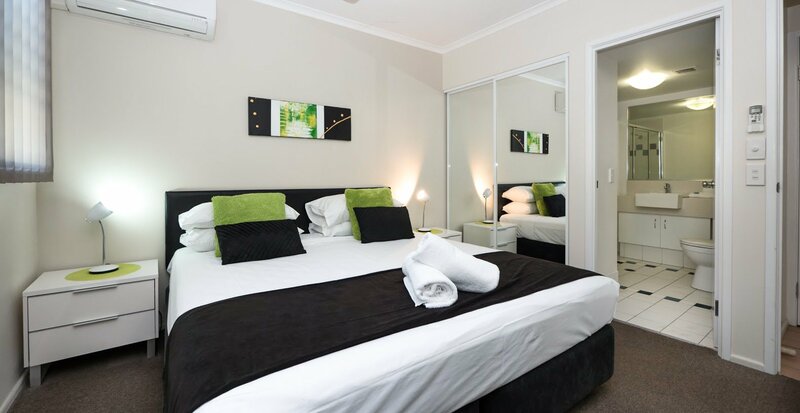 Bedding configuration is 1 king-sized double bed & 2 king-sized single beds. 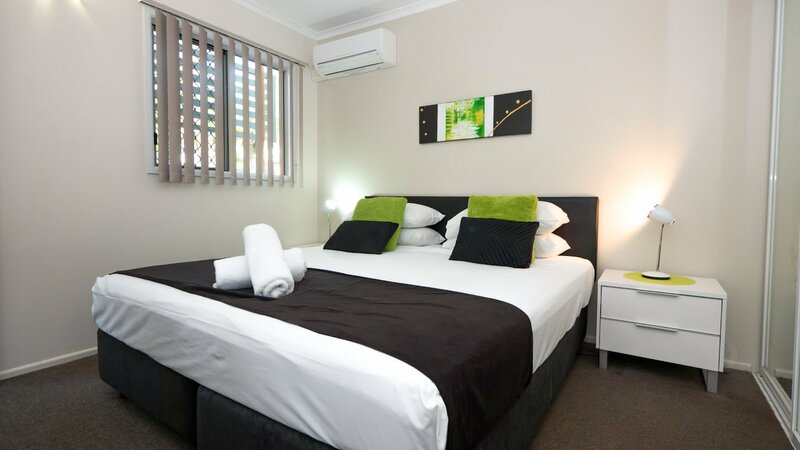 The apartments hosts bedding for 4 people, with a maximum occupancy of 5. 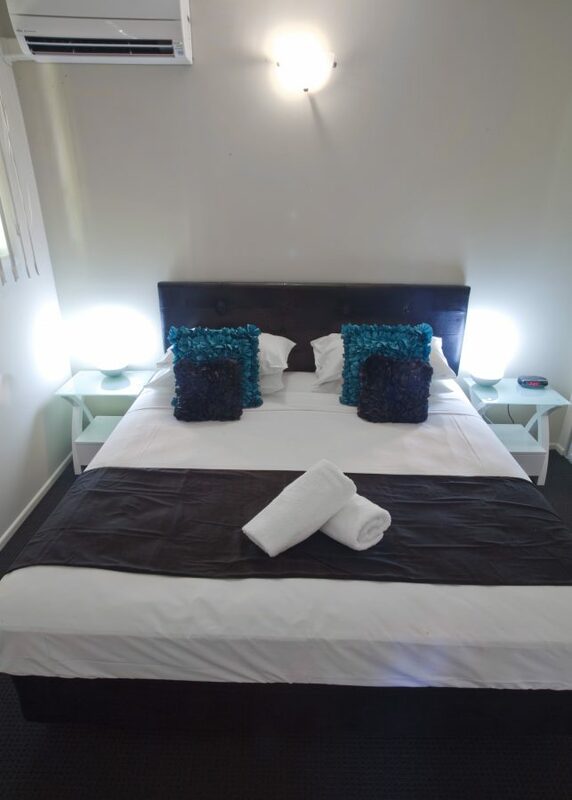 Bedding configuration is either 2 king-sized double beds and 2 king-sized single beds (as standard), 3 king-sized double beds or 1 king-sized double bed and 4 king-sized single beds.